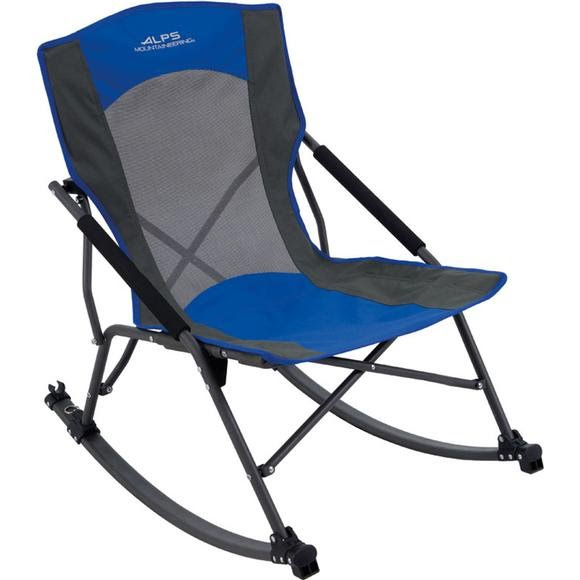 Rock steady with the Pro-Tec powder coated steel frame in the Low Rocker Chair from Alps Mountaineering. Features include a low profile compact foldable design and TechMesh fabric. A 10" x 34" carry bag is included. Rock steady with the Pro-Tec powder coated steel frame in the Low Rocker Chair from Alps Mountaineering . Features include a low profile compact foldable design and TechMesh fabric. A 10" x 34" carry bag is included.